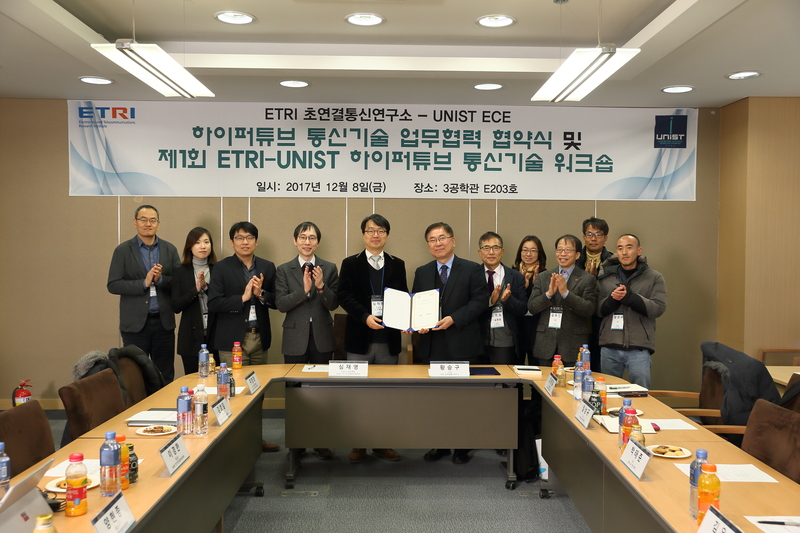 On December 8, UNIST ECE(School of Electrical and Computer Engineering) signed a Memorandum of Understanding (MoU) with ETRI HCRL(Hyper-connected Communication Research Lab. ), to pledge mutual support in the area of Hyperloop communications. 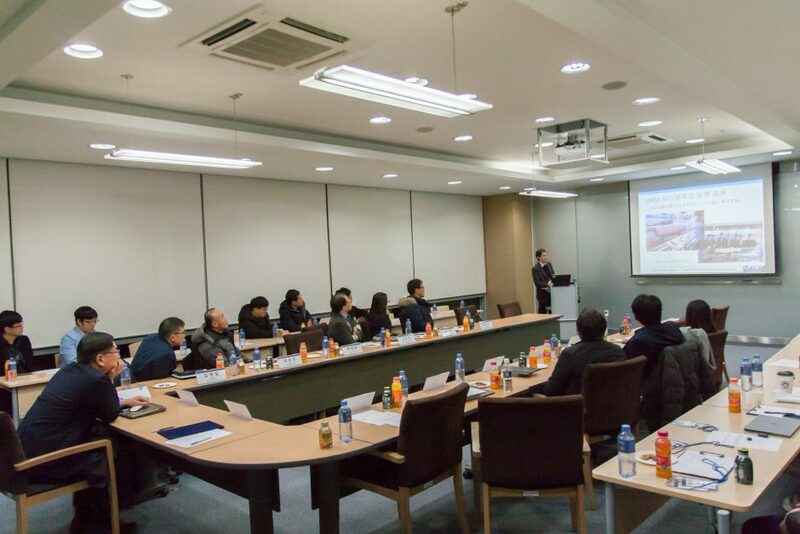 In the memorandum of understanding, the two organizations promised to collaborate on the development of various communications technologies for Hyperloop. Specifically, both organizations will undertake joint research on wireless, wired, optic communications and their network infrastructures designed for the Hyperloop system. UNIST is currently developing its own Hyperloop solution called U-Loop, for which ECE is actively participating in the area of communications, networking, power systems, etc. 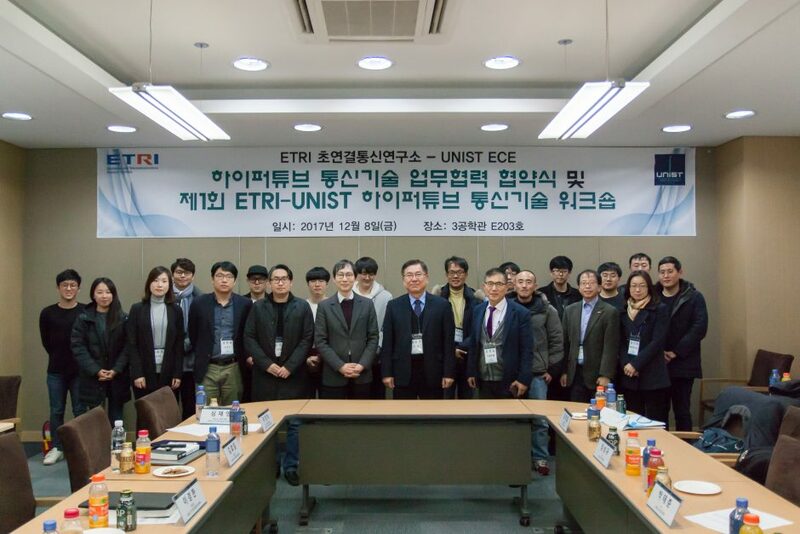 In addition, both UNIST and ETRI are key members of the consortium for the joint development of a Korean Hyperloop model called HyperTube eXpress (HTX). 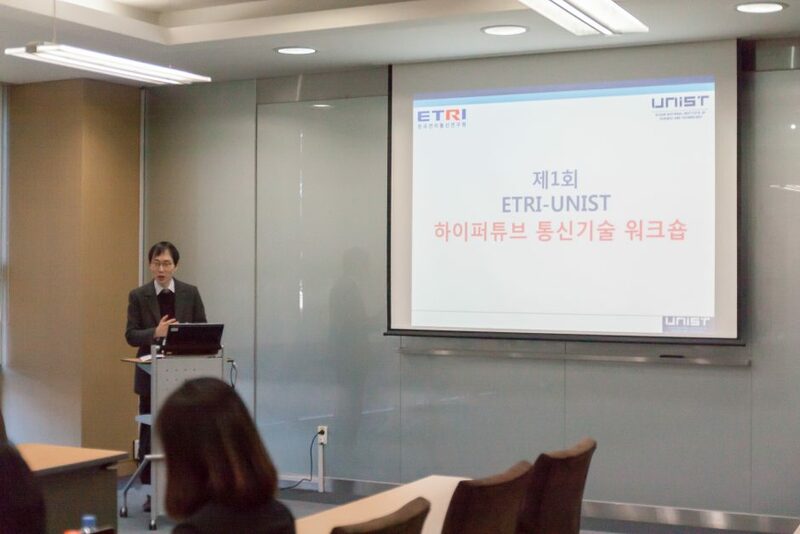 As part of collaboration, the MOU ceremony was followed by the first ETRI-UNIST joint workshop on Hypertube communications where six speakers from the two parties presented their recent research outcomes.